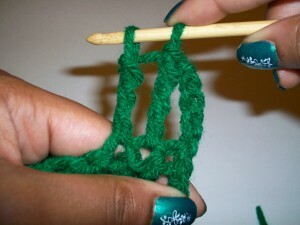 Double treble (dtr) stitches add a lot of height and are very airy, making them great for lace and openwork projects. 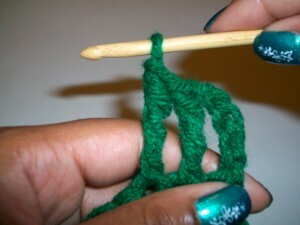 The basic instructions for a dtr are: yo (yarn over) 3 times, insert hook into the desired st, yo, pull up a loop, (yo, pull through two loops) 4 times. Here’s a visual breakdown. You can hover over the pictures with your cursor to see the left hand view. Next, insert your hook into the next stitch. Pull up a loop. There will be 5 loops on your hook. Yarn over and pull your working yarn through two loops four times. 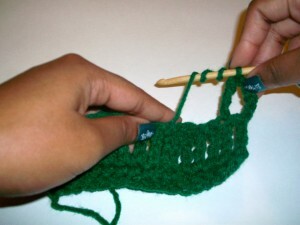 The number of loops on your hook will go from 5 to 4 to 3 to 2 to 1 each time. 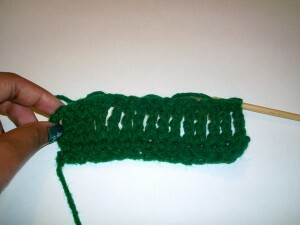 You have now completed a double treble crochet stitch! Have question or need help? Feel free to leave a comment at below and I’ll help you out! 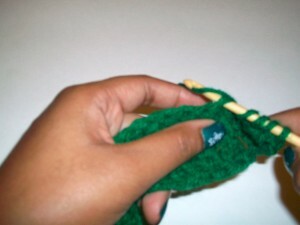 This entry was posted on Saturday, October 22nd, 2011 at 12:00 AM by Candace	and is filed under Tutorials and Help. You can follow any responses to this entry through the RSS 2.0 feed. You can leave a response, or trackback from your own site. that is one awesome stitch I haven’t done that stitch in a while but once you get the hang of it. It’s smooth sailing from there. That is one long stitch! 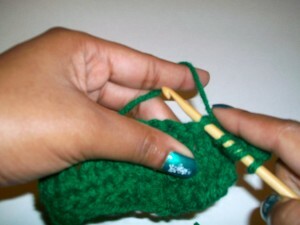 And I thought triple crochet was hard! P.S. I love the way you did your nails! 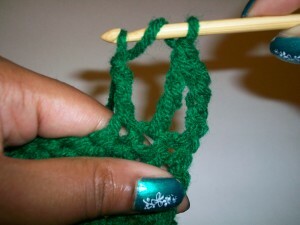 Just learned this stitch last week. Completing an afghan with this stitch. It is beautiful!!! 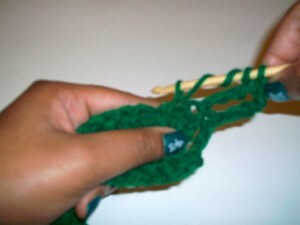 Works great in scarves, table runners, lace borders on towels (I use size 10 crochet thread), etc. A great to get where you’re going….fast! How many do you need to chain before starting? What am I doing wrong? 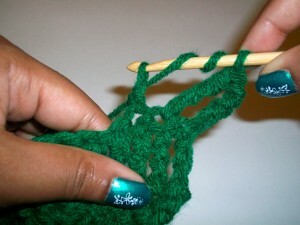 After my stitch is made, there is a large loop between the stitches. What am I doing wrong? We’re happy to help no matter which hand you use.